Summer is approaching and what a way to surprise someone with a special gift! In this tutorial you’ll learn how to make a fun and fabulous Portfolio Case to hold four fantastic cards! Using the Sunburst Thinlits Die and the Sunburst Sayings Stamp Set, you’ll make these perfectly pieced cards – fun and addicting to make! And of course, while making or sending cards, everyone deserves a little treat! So you’ll also learn how to make a cute and quick wrap for the coordinating Tag a Bag Gift Box. 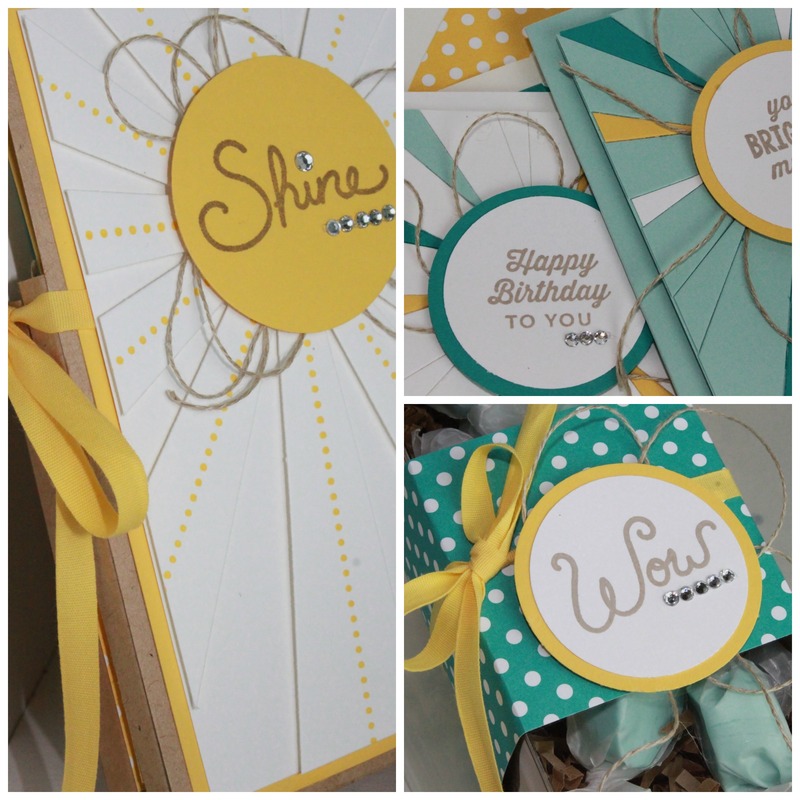 This sweet sunburst cards and gift set was designed by Julie Beltramo. You can get the tutorial over at Craft Project Central.